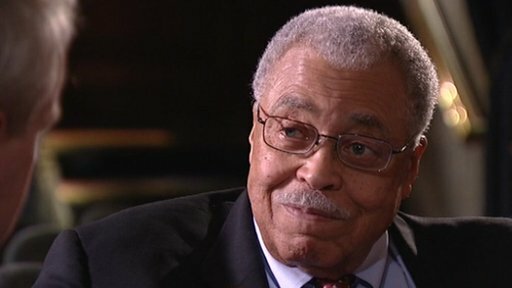 James Earl Jones is one of America's most respected actors - but he remains best known as the voice of Darth Vader in Star Wars. He told Stephen Sackur that director George Lucas originally had Orson Welles in mind for the role but feared his voice would be too recognisable, so he "picked a guy who was born in Mississippi and stutters". Jones said that far from recognising his own talent from an early age, he didn't talk between the ages of five and 15 as he stuttered so badly. He is currently starring opposite Vanessa Redgrave in Driving Miss Daisy at the Wyndham's Theatre in London. You can watch the full interview on BBC World News on Wednesday 7th December at 15:30 and 21:30 GMT and on BBC News Channel on Thursday 8th December at 00:30 GMT. Watch recent episodes online (UK only) or find out who is coming up on the programme by following us on Twitter .